Prositions is a rapidly growing Talent Transformation company offering leadership development, performance coaching, talent coaching, career transition and retirement planning. Prositions does this in a distinct way by combining the power of advanced technology with an international network of leadership and career experts. Its latest software solution, MentorStringTM enables organizations to leverage virtual mentoring and secure social collaboration technology. It has a number of unique features that allow administrators and users to actually architect communication “strings” between those who have information and knowledge and those who need it. 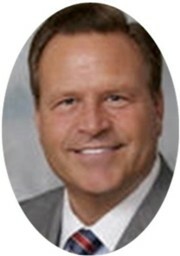 Frank Russell is the Chief Executive Officer of Prositions, Inc. He has over 30 years of human resource management experience. He is also a serial entrepreneur having started three other companies in the HR space. Prior to starting Prositions, Frank was Founder and CEO of GeoLearning, Inc. Geo was the largest SaaS-based learning and performance management company in the industry. Prior to founding GeoLearning, he was President and Founder of Excellence in Training Corporation, a leading producer and distributor of video-based training. CEOCFO: Mr. Russell, what is the concept at Prositions? Mr. Russell: Prositions is a company that provides software and services for virtual mentoring and social collaboration. We have a new software platform called MentorString™. It’s a cloud-based solution that allows people to collaborate and find coaches and mentors within their own organization so they can develop and grow. MentorString™ also includes secure social collaboration tools, so it’s like having a LinkedIn capability behind your organization’s firewall. We also have a network of certified business coaches and mentors for organizations that do not have enough internal capability to provide their own coaches. We help round out a company’s bench strength with leadership, performance and career coaches, if that assistance is needed. CEOCFO: How does the technology work? Mr. Russell: The technology is hosted on a cloud platform, so there is no hardware or IT support requirements. It can also be accessed from any desktop, laptop, tablet or smartphone device. MentorStringTM allows individuals within an organization to input information about their work history and background. This information can also be imported from a company HR system or even a LinkedIn profile. Once this is done, the employee can indicate areas where they would like to develop and grow. For example, let’s say they are a new hire in the organization, they have gone through an orientation process or assessment and there are a couple of areas they would like to develop. Maybe it’s communication skills or a technical skill area. They rate their level of expertise or skill level on a sliding scale. The system automatically goes out within the organization and finds people who are qualified and willing to help that person as a coach or mentor. It also provides virtual communication and collaboration tools so the employee and the mentor can work together no matter where they’re located. We are working with a large technical company that has 85,000 employees. They have people out in the field working, in sales, service and customer relations positions, and a client or a prospect poses a tough technical question that they can’t answer. Who do they call out of those 85,000 employees? Some social collaboration tools would require them to post a general query like, “Does anyone know the answer to this question?” The problem with that approach is, they may get a hundred responses, but which one is the best or correct answer and which ones are simply opinions? MentorStringTM automatically finds the one or two top experts in that area, so the service person can feel confident they have a reliable source of information. That’s just one of the ways the software works. CEOCFO: Might an employee be reluctant to show they do not have the knowledge needed for their task? MentorStringTM also allows employees to indicate areas where they have expertise. Let’s say that I am joining the organization and I have a lot of experience in developing mobile apps, but no one knows that about me. I could indicate that as one of my strength areas and potentially help others in the organization. This fosters motivation for people who want to grow and learn and for people who want to help others in the organization. Traditional mentoring programs usually match up a senior level person, the mentor, with a junior level person, the mentee. However, what we’ve found is these senior level executives were getting tremendous information and benefit from their mentees. We call it “reverse mentoring.” The executive was learning what a Millennial needs and how to motivate, retain and attract more of them. Also, they learned about how to use social media tools more effectively. We call it “a democratized coaching model”, where anyone in the organization can help someone else if they have the expertise and knowledge. CEOCFO: MentorString™ is fairly new. How were you able to get large companies to sign on? Mr. Russell: In the beginning, we presented to companies that were early adopters of technology. When you release software you go through a rigorous testing regimen in stages called alpha, beta and pilot releases. Because of the unique capabilities of MentorStringTM, we were able to get some impressive companies to go through that process with us. They understood that by doing this they would have greater influence in the future design of the product and our roadmap, so it was a real win-win scenario. Another thing we are now doing, that is fairly unique, is offering a “try it before you buy it” program. We allow a customer to use the software for ninety days at no cost or continuing obligation. We set it up and configure it for them. Then we help them release the product internally. At the end of the 90 days, we give them a series of reports about usage, effectiveness and ROI. If they like it, then we have a very easy subscription plan, where they only pay for the actual usage. We have found this to be very successful because there is almost no risk to the client. CEOCFO: Is this what Prositions is doing exclusively today? Are you still doing your traditional business or your previous business? Mr. Russell: We have always been in the mentoring and coaching business. We service two major areas. One is in the career services, where we help companies that are downsizing or moving employees from one location to another. We call this our DCAP program, for Dual Career Assistance. A client may want to relocate an employee from San Francisco to Boston. However, that particular employee may have a partner, significant other or spouse who is working. When the employee moves, the partner may lose their job. We work to help that partner or spouse find a job in that new location. We have now expanded into another area that is growing very rapidly, which is leadership and performance coaching. This is where MentorStringTM helps, because there are many organizations, especially medium and small sized, that do not have enough internal mentors or coaches for their employee base. We can supply certified coaching professionals to help fill that gap. CEOCFO: Is there much competition for your services? Mr. Russell: Our platform is unique in the sense that it melds together a virtual mentoring and coaching capability along with secure social collaboration. However, there are some companies that have been quite successful with secure social collaboration, like Yammer. The problem with Yammer is they do not provide compelling motivation for a user to actively participate. We often hear from companies that say, “I have a lot of registered users but they’re not very active in the system.” We call them “lurkers” versus real “workers.” Because MentorStringTM is driven by a user’s development and growth needs, which can ultimately affect their compensation and career advancement, we see a much higher ratio of active “workers” within our system. Our platform actually answers the question, “What is in it for me?” The answer is “Your future!” It doesn’t take a rocket scientist to understand why people want to participate. There are a couple of other companies out there that do virtual mentoring too. They are just starting out in the market, so there is some competition. However, we think we have something that is very unique. We called the product MentorStringTM because we a have patent pending feature we call a String Diagram. As you use the system to connect and collaborate with people it creates a diagram of all of these communication connections and shows how you are linked to other people in the organization. It will also allow a user to search for people based on their strengths and competencies. We believe this can replace the old organization chart that was very hierarchical. The classic org chart was created over 100 years ago and does not accurately depict how companies are structured today. Many employees may be working on project teams that are transitory, or in matrix management structures. You also have a greater reliance, today on contingent, temporary or contract workers. We believe our String Diagram is a better way to depict these new structures and relationships. CEOCFO: What have you learned since you first developed the product? What has changed after testing and usage? Mr. Russell: We’ve been surprised at how different organizations are adopting and using the product. Some are using it like an expert system to find out who the “go to people” are in the organization. Other clients are using it for leadership coaching and development. Some are using it for onboarding. One of the most interesting things that we see is organizations that use it for diversity and inclusion programs. What we’re finding is MentorStringTM gives people a way to get around some of the natural barriers that a bureaucratic hierarchy creates. The system can open up communication and enhance creativity. You can have very talented people connect with high level executives and they get recognized without necessarily having to go up through every step of the hierarchy. CEOCFO: What is next? What is the strategy for the next six months to a year? Mr. Russell: We’re going to continue to roll out the software product. We have some very exciting new features in the MentorStringTM road map. We’re working continually to upgrade the functionality. We’re also expanding internationally, by adding more languages to the platform. Most importantly, for us is to just continue the expansion of the product and keep working on what we learn from our customers. CEOCFO: Why should people pay attention to Prositions today? Mr. Russell: Your reading audience obviously has senior level executives and they have to compete in a global market place. Even though there may be high unemployment today, the reality is there is a “war for the best talent” globally. The organizations that will win are the ones that find and attract the best people, wherever they are in the world, and then keep them motivated and productive. I also think top level executives are constantly looking for ways to get that talent up to full competence as quickly as possible. They know their competitors are trying the same thing. We are constantly striving to develop and improve our technology tools to help organizations accomplish these goals.